New Mexico’s state question, passed as a joint memorial by the legislature and signed by Governor Gary Johnson in 1996, is, Red or green? and refers to the type of chile you want smothering your breakfast burrito or huevos rancheros or any number of other heavenly combinations of tortillas and cheese, give or take the eggs, frijoles, papas y chorizo. But the real state question that needs no act of legislation is, Where are you from? There are variations: Which high school did you go to? Who are your parents? Your grandparents? They are all code for, Do you belong here? Will you love this place in that unexplainable way that keeps us from leaving home, and if we do leave home, forever calls us to return? A horrible secret haunts me. Though I fear the repercussions of the revelation I am about to make, I cannot continue this post without disclosing the truth. I won’t blame you for feeling shocked, even outraged, for challenging my tenth-generation New Mexican claim, or revoking my native status. My mom and dad grew up in Deming and met in their late teens. They married on a Sunday morning and moved to Los Angeles that same night. 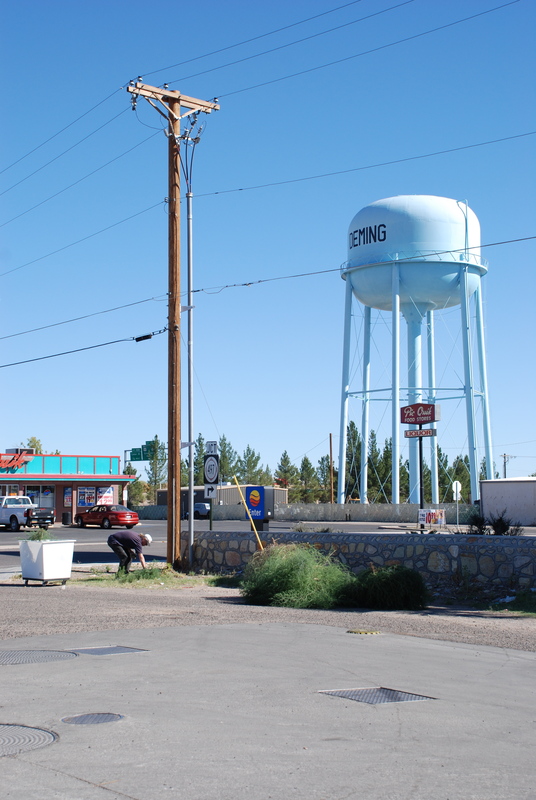 I imagine they left Deming, New Mexico for the same reasons those Oteros of long ago left Peralta, because the place they called home could no longer sustain them; and I imagine they returned when I was two for the same reason I returned in my twenties and again in my thirties. Because, despite the lack of high paying jobs, the dismal statistics that put our state near the top of every bad list ranging from teen pregnancy to high school dropout rates, our blood is in this land, and this land is in our blood. More and more, the question I care about is not, Where were you born? but Where will you die? 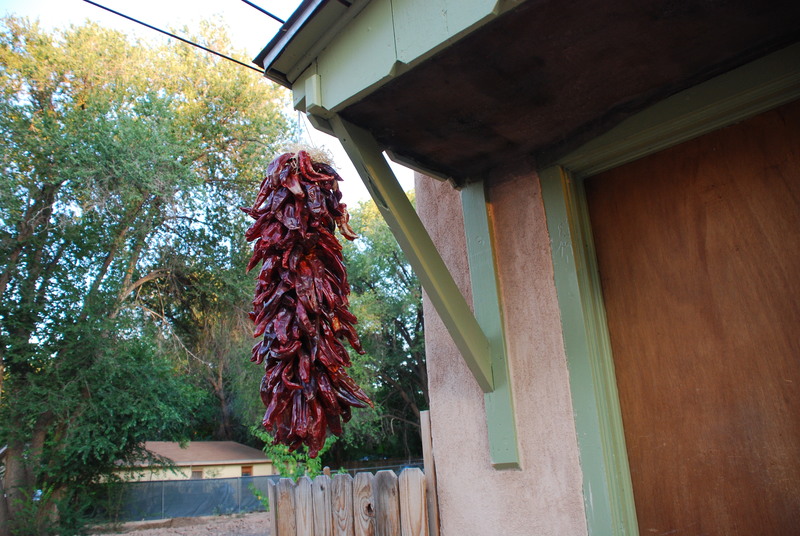 For the last eight months, I have lived in Atrisco, an unincorporated area of Bernalillo County, established in 1692 as a Spanish land grant. I came to Atrisco reluctantly and unexpectedly. For the first year and a half of my relationship with my visionary compañero Henry, I secretly hoped that by the time we were ready to move in together, he would give up on this neglected area of Albuquerque and move with his children someplace easier, more comfortable and clean, maybe the North Valley, or better yet, Oaxaca. I came to Atrisco eight months ago because my beautiful apartment, the place I had called home for a year and a half, the place I’d lived longest since living on my own, was destroyed in a fire. I was in Oaxaca visiting friends when it happened. I had my laptop and a suitcase of clothes, both of which had felt heavy when I lugged them through security at the Albuquerque airport a week earlier, but now seemed insignificant, almost weightless when I held them up against all that I had lost—my grandma’s bed, twenty years of journals, a copy of Loose Woman signed by Sandra Cisneros my first summer at the Macondo Writers’ Workshop, my writing space. 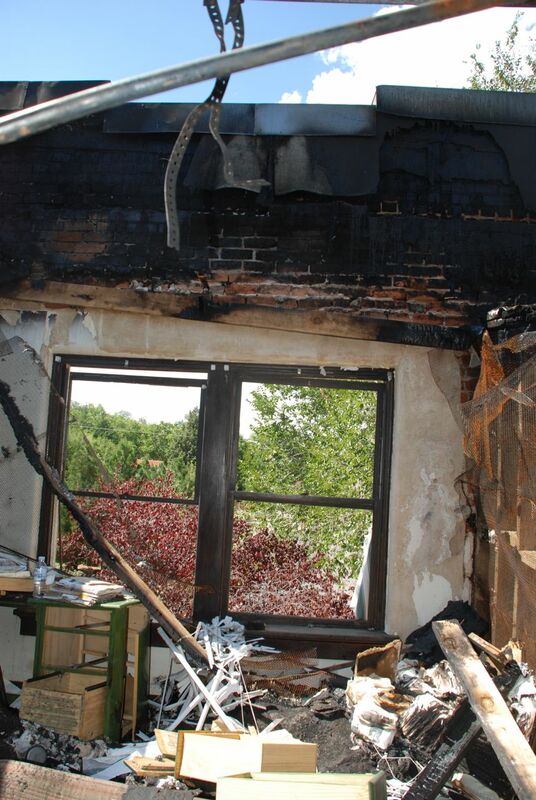 The fire started at seven on a Tuesday evening. My cell does not work in Oaxaca. The room I rented did not have internet or telephone access. By the time Henry tracked me down via email, Facebook, and frantic text messages to the few Oaxacan friends whose numbers he had, it was two o’clock Wednesday afternoon. The fire still raged, but my unit was already gone, the window glass blown out into the courtyard, the roof collapsed, the walls seared of Diego Rivera, my college and Masters diplomas, plaster and drywall, down to metal sheeting held in place by charred two-by-fours. I imagine this is the covenant that kept the Mexica wandering the Valley of México until they reached Lake Texcoco, where they found the sign that Huitzilopochtli had prophesied: an eagle eating a snake while perched atop a cactus. I have yet to see an eagle or a snake on our half-acre lot. 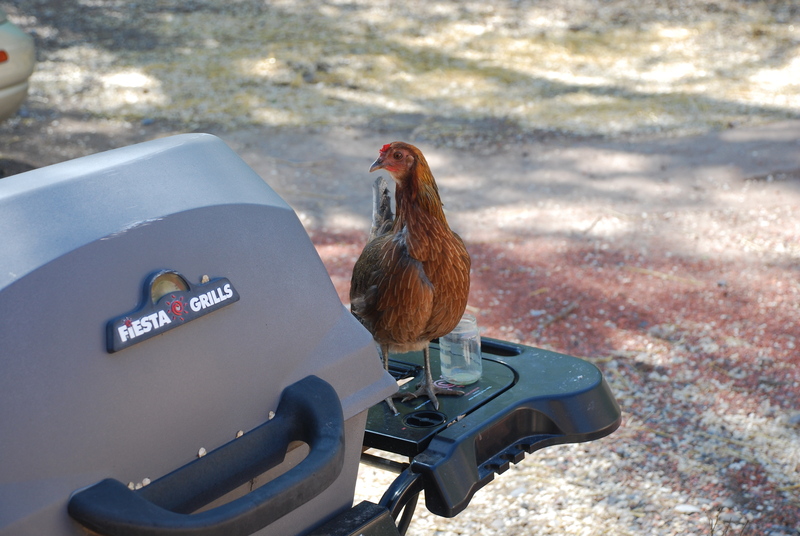 But a few weeks after I arrived, a chicken wandered into our yard and stayed. The kids named her Andréa. In exchange for chicken scratch and all the worms she can eat, she lays one egg a day under the tarp that covers the barbecue grill. About the time Andréa came into our lives, Henry caught a whiptail lizard by the shed and made a home for her in a terrarium that now sits on the kids’ dresser. We feed her crickets each morning before school and watch with fascination every few months when she sheds her skin. Eagle, serpent. Chicken, lizard. Texcoco. Río Grande. Tenochtitlán. Atrisco. This is the promise that my new home makes. If I respect its story, if I commit, if I work, if I exercise faith, esta tierra encantada will give. Another beautiful piece, dear friend. I look forward to reading more! I have always admired the deep sense of belonging you have, both for New Mexico and for your culture. While I mourn the loss of so much of your history and the peace you found at your apartment, I also celebrate that you’ve found a new home. I envy the peace that comes with knowing where you belong, where your heart desires, and knowing where you will die. Thank you, thank you for treating us to your writing with this weekly blog! I love this mantra. It may seem corny, but our wedding song, 3 Little Birds, has gotten me through many a tough time. Don’t worry about a thing ’cause every little thing’s gonna be alright. So sweet that those words to you from the universe were sent through Henry. I love reading your life, Michelle. And it’s because I love you that I care about every little detail. What happened? How did she become the woman she was when she sat across from me in my Dewey dorm room and we talked into the night? And I love Henry and I’ve never met him. I remember that night well, Dawn. Talking with you after my reading felt like coming home. All your questions will be answered – just keep reading every Tuesday. Hola comadre, your words bring me home from far away. I miss the air, the dust, the flowers and the mountains. Thank you for your honesty, your poetry and your images. I look forward to more…. California? I knew there was something fishy about you. JaJaJa. Anyway, you’re a Chuco Chicana deep down. Thank you so much for sharing your stories — of home, loss, love, roots, family….I will always believe in you and the am amazing writer and woman that you are. I so look forward to seeing a part of your world in NM this summer.